More efficient services are expected from state employees now that they’ve been issued government bicycles. 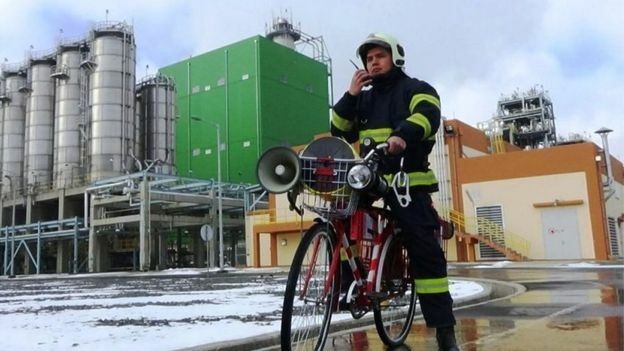 In western Uzbekistan, firefighters at a giant chemical plant Uz-Kor use bicycles to patrol the 260-acre grounds. Lieutenant Sultanbek Tangirberganov, who’s behind the idea, believes the area is ripe for innovation. He suggested the bicycle as an alternative to foot patrols. The custom two-wheelers are painted red and white, weighed down with fire extinguishers and armed with a loudspeaker. 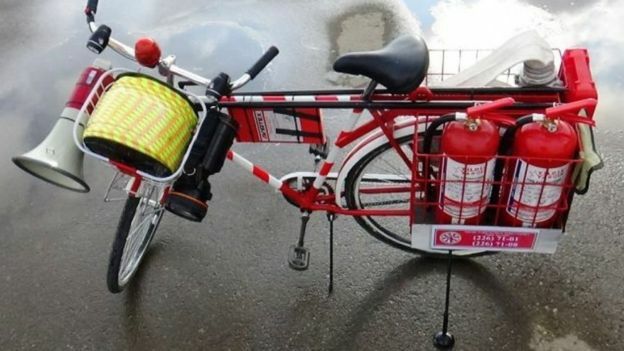 The fire unit still has conventional trucks ready for any major accidents, but the minor ones are to be dealt with by the bicycle units. 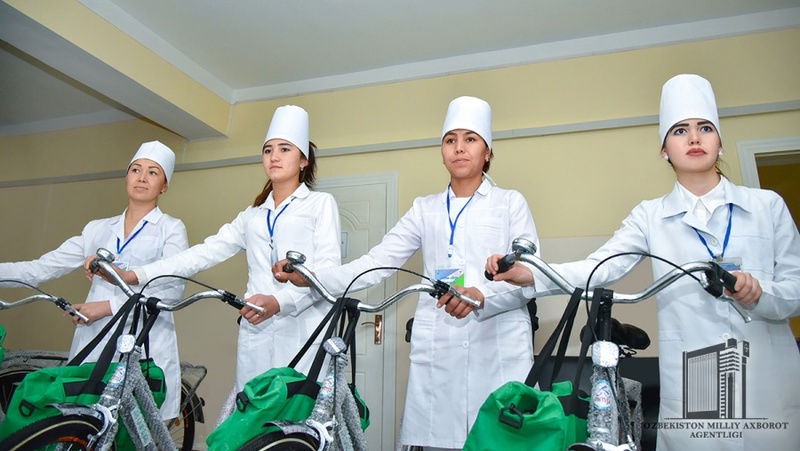 Employees of the health service in the Tashkent Region have a much more standard set-up ready for their journeys. The Vellopatronaj service received 22 bicycles, which should enable the community nurses to provide high-quality and fast medical help in local villages. While cost efficiency seems to be the reason for this decision, the government states that its motivation is promoting healthy lifestyle. Uzbeks on social media weren’t much impressed with either of these moves, but the truth is many health services around the world use the benefits of bicycles to their advantage. Whether it is to beat the rough terrain in rural areas, or the traffic in major cities. 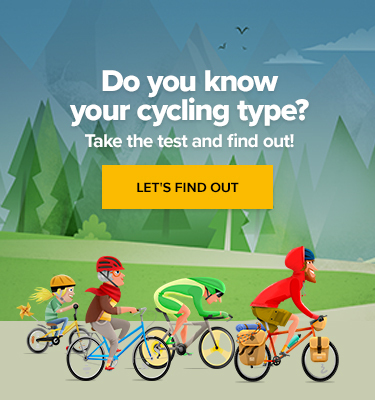 Does your country use bikes in the service of the state? Let us know on Facebook.